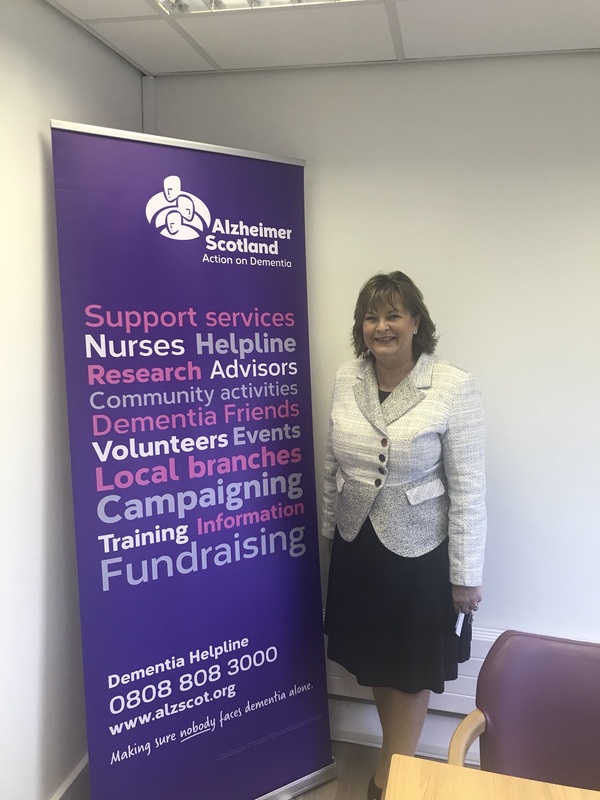 Local Constituency MSP, Fiona Hyslop attended the opening day of Alzheimer Scotland’s new Dementia Centre at Grampian Court in Livingston on April 1st to hear about the variety of services and support available at their new centre. “I was delighted to see round the new Dementia Centre in Livingston this week (Monday 1st April) and to meet staff and volunteers who work with Alzheimer Scotland. “As well as a lovely social café space, the facilities also includes private meeting rooms and a cosy area. Their services extend the length and breadth of West Lothian, so if someone you know has been diagnosed with dementia, I would urge making contact with this local charity who are keen to offer their support and a very warm welcome. Open day is on April 23rd, 10am-3pm.